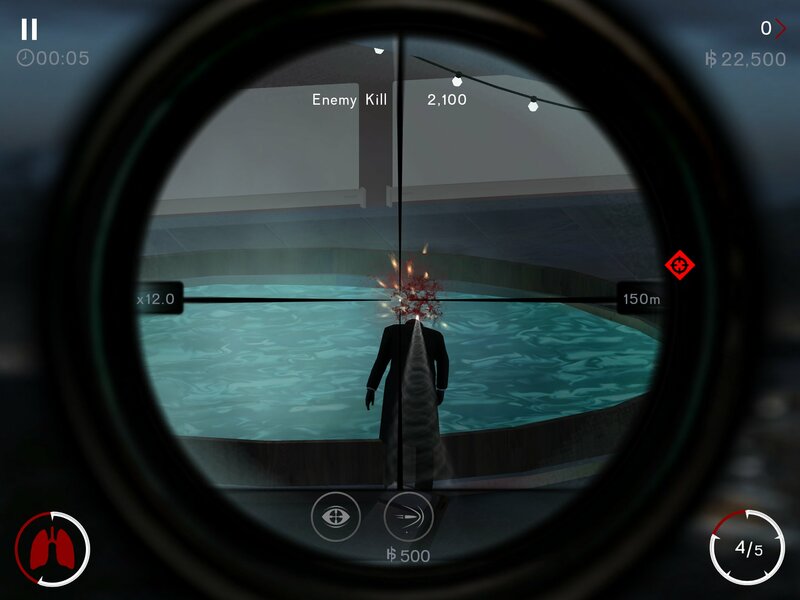 Want to try out Hitman Sniper, the free-to-play take on the Hitman series for iOS? Well, the game has soft launched in a limited form in Canada for those who want to get a taste of the game. There’s right now only one scenario to play: a mission in Montenegro to take out a high-value target. Each time the mission is completed, the objectives get steadily more difficult, with greater rewards and new targets unlocked. This mission is the same as was in the E3 demo which we posted about, which you can now try for yourself. The game is all about sniping, and is far more adherent to the series’ traditions than Hitman GO ($4.99) from the same Square-Enix Montreal studio was. That is to say this game takes itself seriously. It is free-to-play, with better rifles and rifle upgrades available through a two-tier currency system. It’s all about sniping from that fixed point, so stealth is more a matter of taking out enemies while no one else is watching, and hiding bodies, like shooting someone into a jacuzzi. This soft launch, with only the one mission, is really more akin to a demo than anything else, but it still gives a decent taste of what the full experience should be like when completed. Join the forums thread to chat more about this one.